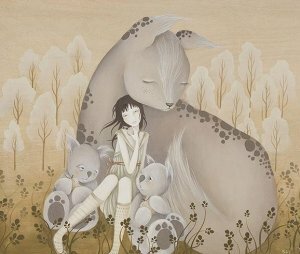 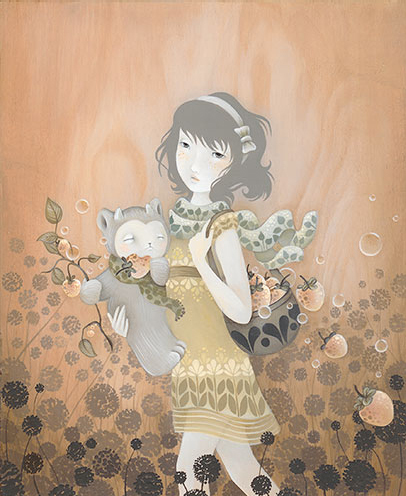 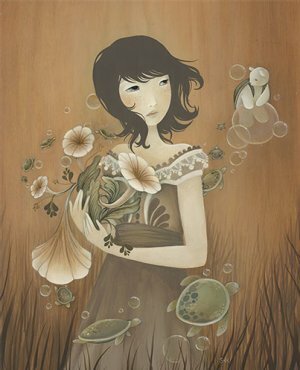 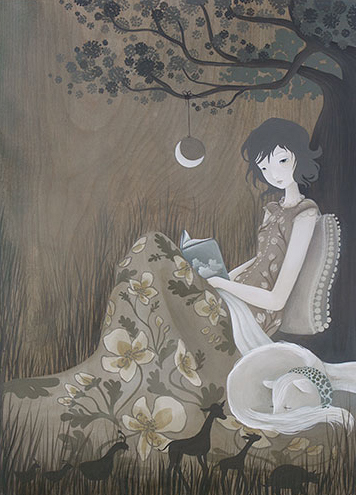 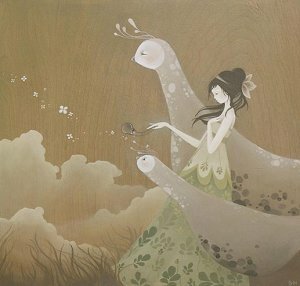 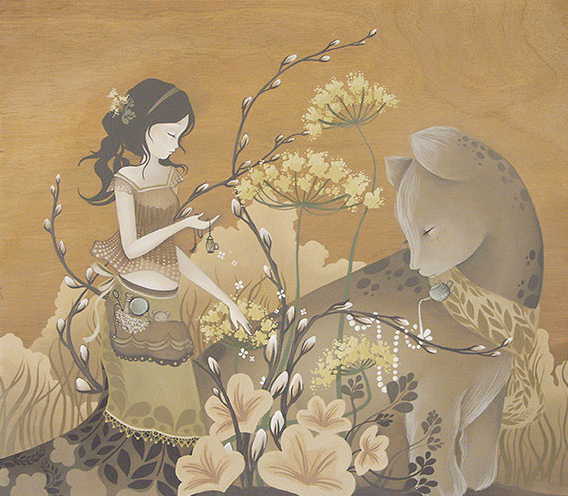 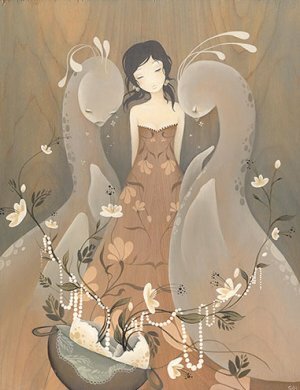 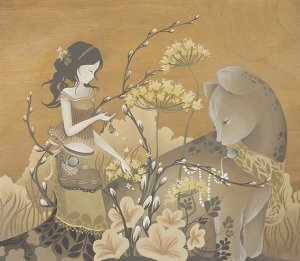 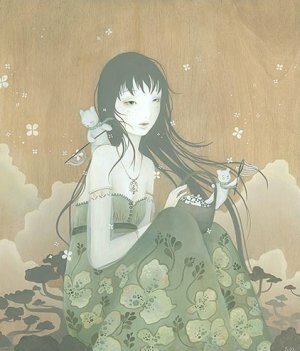 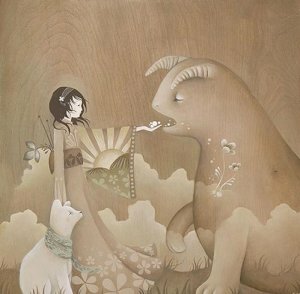 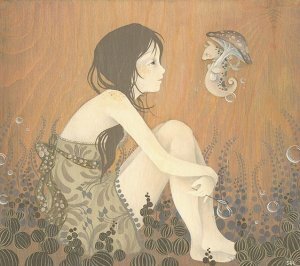 The author of these great illustrations is Amy Sol, she’s a talented girl from Korea. 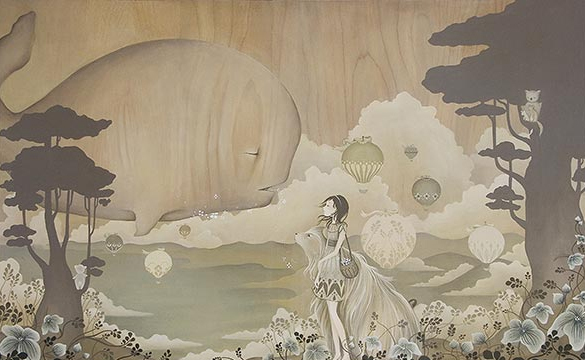 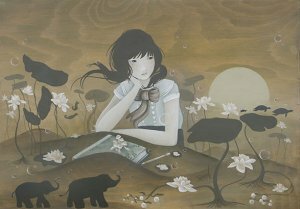 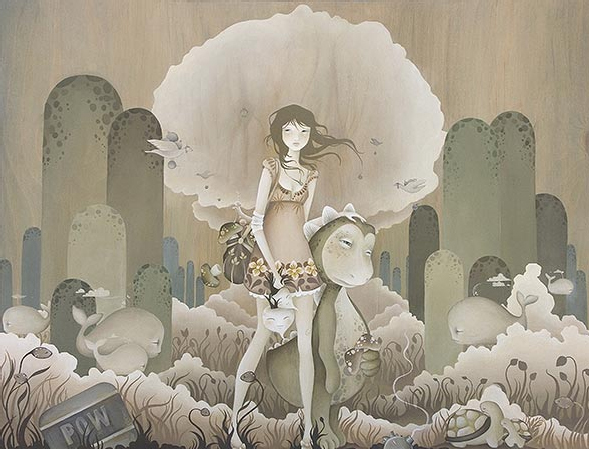 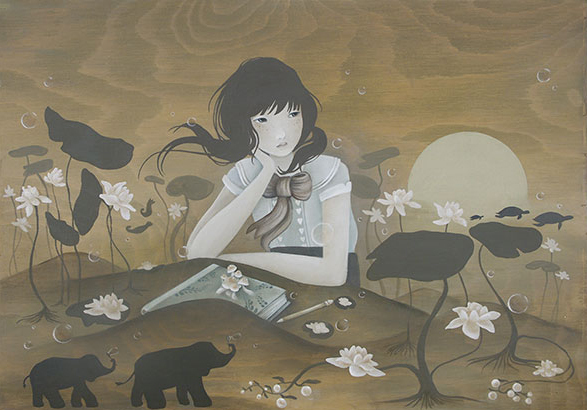 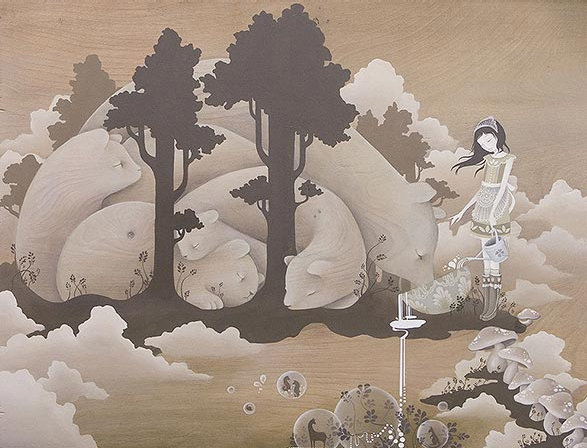 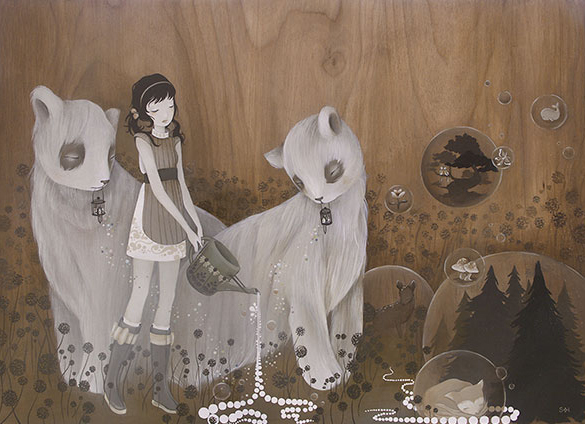 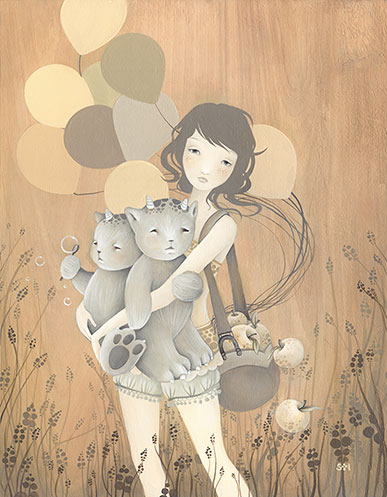 She herself defines the style she works in as a mix of folk-art and manga. To make the pictures less rough, she adds some vintage. 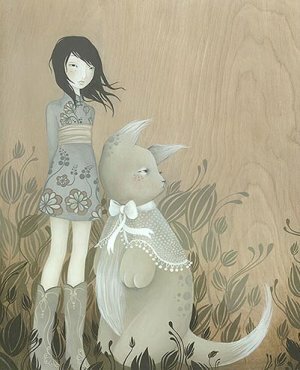 The pictures are made on wood with acrylics and oil. 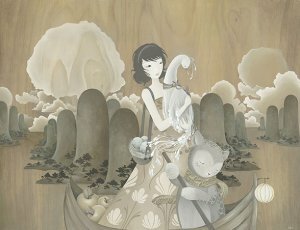 This genre is becoming more and more popular.